Hog Roast Leeds takes great pride in being the number one choice of catering company for so many customers in this area and even further afield. For many years now, we’ve been delighted to cater for private parties, weddings and corporate events, both large and small, formal and informal and at each end of the budget scale. 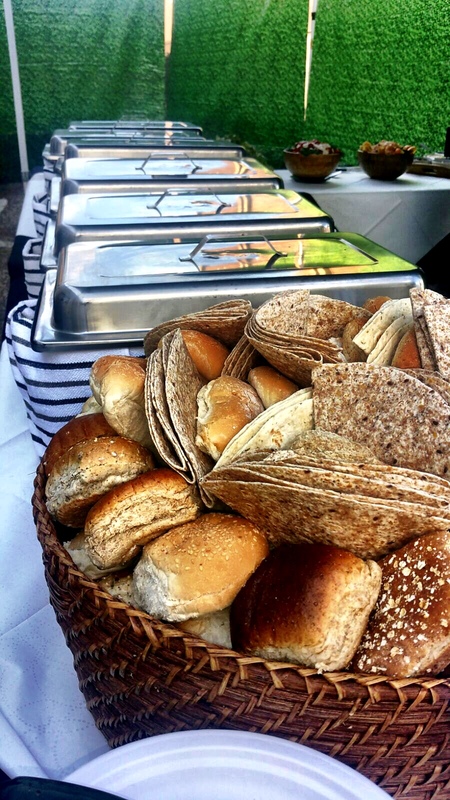 With Hog Roast Leeds as your choice of caterers, you’ll find that the food you have at your event is all your own choice too. We love cooking hog roasts and spit-roasted birds and animals but if you prefer additional food or even substitutions, we have a full range of menus with options for you to choose from. In fact, we actually actively encourage our customers to devise their own menu because at the end of the day, it’s your party, so we think you should get to choose what you want to be served. From a full-course dinner with multiple dishes at a wedding reception to a birthday party bbq, or a corporate event featuring our Southern Slow Roast Menu that gives you several meats and accompanying dishes, we ensure that all tastes are covered. We also offer many alternatives for special diets, such as vegetarian, vegan and gluten-free, because we know not everyone is able to enjoy a hog or spit roast but we still want those guests to enjoy our tasty, homemade food. Of course, if you prefer one of our fantastic hog roasts, it’ll certainly be the highlight of your special occasion – visually spectacular and full of flavour, it’ll impress your guests no end. Hog Roast Leeds prepares, cooks and serves the finest, freshest, highest quality hogs from scratch at your venue and you can really taste the difference. This is exactly what our customers love about us. Light on your pocket but big on taste – try us for your next event!